The general business conditions determine the working relations between the Real Estate Agency Kvintet as the broker, and the client (physical person or company). The client accepts that they are familiar with the conditions of business of Kvintet Real Estate Agents. All the property prices displayed on the Kvintet website already include VAT. - they inform seller about the situation on the real estate market, which is important for the price forming and the property estimation. - for the services carried out by selling property, Kvintet Ltd. charges the seller commission in amount 3% + VAT (25%) of sale price. The commission is payable at the sales contract signature. - the Kvintet agency representative is also responsible for the monitoring of the payments. - together with the public notary office submits the tax declaration towards the tax office. - for the services accomplished at the sales inter-mediation Kvintet Ltd has the buyer commission of 3% + VAT(25%) of the sales price. The commission is payable at the pre-sales or sales contract signature. 1. In Croatia is common that the property transfer tax is paid by the buyer only. For the new properties, it is 0% and for the second hand properties it is 3% of the value of the estimated value of the property by the tax office. 3. The public notary (solicitor) fee is normally less than 1% of the sales property price. To summarize, the total cost that buyer pays is 3% for the new properties or 7% of the sales price for the second hand properties. - Property maintenance is regulated through the service charges which is obligatory for the flats with more than 3 units and not for the houses. It is charged approximately 2 kunas per square meter. 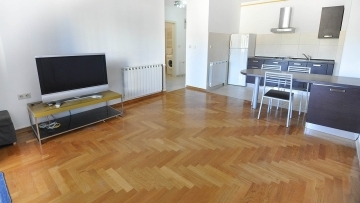 It means for the apartment of 50 m2 it would cost you around 100 kunas or 13 euros per month. From this amount for example all the repairs on the roof are carried with this money.